Ever been on a course or workshop where it feels like the instructor is just going through the motions? That’s just not us; we believe in classes focused on helping you really understand the skills and tips needed to make great Italian food. Our holidays include a cooking class every day, all of which are led by an experienced chef with expertise in fresh pasta making and Italian gastronomy. We believe in developing relationships with our guests to understand how best to improve each person’s cookery, and our workshop group size is usually never above six. Always fun, always friendly, but always geared to making sure you really pick up skills you’ll never forget! Everyone knows about Siena and Florence, thousands of people flock to the Chianti hills, and you’ll probably hear more English than Italian on the streets of Montepulciano. But the Maremma…’where’s that?’, they say. The region known as the Maremma is Tuscany’s best kept secret, (for now anyway). Nestled in the South of Tuscany, close to the Lazio region around Rome, is a special place dominated by national parks, dense forests, glittering hill villages, beautiful coast lines, and wonderful food! This is a wild, natural and romantic land, sparsely inhabited and home to the famous ‘butteri’ cowboys. Things are done the old ways here, and the pace of life is wonderfully slow. Our holidays have a retreat-like feel to them, perfect for relaxing and replenishing your energy levels in the heart of nature. We are based in the beautiful village of Roccatederighi, which is carved into the rocks over 500 metres above the plains. It teeters impossibly above the flatlands and from up here you can see the islands of Giglio, Elba, or even Corsica on a clear day. Our holiday apartments have just this view and you can and enjoy the serenity over breakfast before sitting back in our passenger transport as we head to a vineyard or cheesemaker, watching the olive groves fly by. In the warmer months there is also a pool for when you need to cool off; lie on a sunbed and watch the beautiful hills rolling away into the distance. Denise, December 2017: “Cook Eat Discover takes place in the Italian region of Maremma. This is one of my favourite places in the world and it couldn’t be more quintessentially Italian. The area is full of old medieval villages set high up upon green hills, rolling sunflower fields and vegetable farmland." Our guests simply get themselves to Grosseto, an easy train ride from Pisa or Rome, and we do the rest. You’re on holiday, so you can sit back and relax; we want the flow of the holiday to be as smooth as possible for our guests. Our comfortable and modern passenger transport van will take you everywhere you need to go in the days ahead, while Oli and Flo have organised everything to make sure you have a memorable trip. After settling into your Tuscan holiday apartments on the opening evening, you’ll be given your itinerary which you can peruse while enjoying an Aperol Spritz and gazing at the view. After your 4 course welcome dinner at Cook Eat Discover HQ, your hosts will go through everything and make sure you’re happy and comfortable. All lessons, tours, activities and meals (apart from one free evening on the longer 6 night courses) are pre-organised with timings and places for pick ups carefully coordinated. There is plenty to cook, to eat, and to discover, but we pride ourselves on an engaging yet relaxed pace, so our guests have plenty of time to soak up the scenery and atmosphere too! All activities are also optional so you can do as little or as much as you please! David, September 2018: “What really stood out for us was the attention to detail…every moment was perfectly organised and arranged; we didn't have to worry about how to get anywhere, or when to be somewhere - the team took care of it all. It was a totally stress-free holiday, with transport and translators arranged door to door. To conclude; don’t hesitate! Get in touch with Cook Eat Discover to find out about their fantastico Tuscan Experience. 5 Stars all the way!" Looking at today’s industrialised food landscape, it can feel like we’re going in a dangerous direction - careless use of resources, irresponsible practices damaging our planet, animals reared in cruel and inhumane conditions, pesticides…the list goes on. Fortunately, here in southern Tuscany we’re surrounded by producers who are determined to create food and drink in a sustainable way. We believe in food and drink production that works in harmony with our environment; we introduce our guests to producers who not only make magnificent food, but who respect nature, innovate with green energy, and put quality and integrity above profit margins. Our bespoke tour of the region's producers showcases those who treat food and drink, and the land that creates it, with love and patience. All of the producers we work with are organic, and you might meet buffalo mozzarella cheesemakers who make renewable energy from the animals’ waste, olive oil producers who use the olive stones to heat the factory, or take a boat trip with a fisherman on a mission to stop the trawlers from destroying the seabed. We have no intention of simply scratching the surface with our food tours - we go behind the scenes of Italian gastronomy, and against a stunning Tuscan backdrop spend time with cooks, winemakers, fishermen, olive farmers, cheese producers, gelato masters and much more. We aim to inspire and empower food lovers with an immersive experience which gives them unique access to the people, stories and time-honoured methods behind the dishes and ingredients. 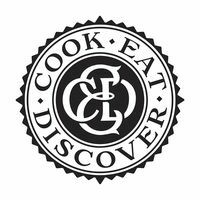 With Cook Eat Discover, you will adventure around a region rich in passionate artisans who will walk you through the processes involved in making the best quality Italian products and ingredients. In a local wine cellar a winemaker will explain to you how Sangiovese grapes are fermented to make the perfect vino rosso, olive farmers will walk you amongst their trees and explain when the perfect time is to pick the fruit, honeymakers will let you peek into their hives and tell you about the intelligent life of their wonderful honeybees, and aboard his boat in the glittering mediterranean, a sustainable fisherman will tell you about how he knows where to drop the nets. These are rare and authentic foodie experiences that you will never forget!